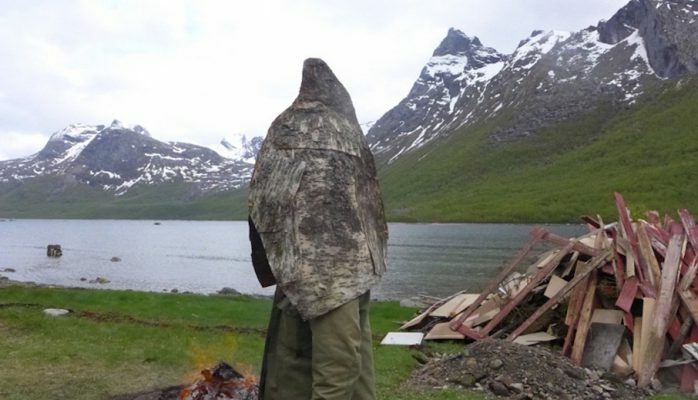 This biennale is the fifth; organised by Ane Vigdis Øverås, an artist living in the valley. We were a curated group of 14 international artists living and working on site for 10 days. 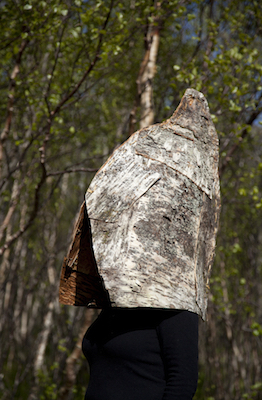 The exhibition of the work on the site beside the inshore sea was open alongside a connected exhibition at the Bodø Kunsforening in Bodø which ran until 19th July. My proposal was to respond to the site when I got there. This proved to be quite challenging, as it took some time for me to really feel how to respond. I realised after a few days that you can’t ignore the mountains. The horizon line dividing mountain from sky sharply frames one’s field of vision. Trolltind in particular kept drawing my attention. This distinctive peak with its three cairns on top like people watching over the valley, has a very strong presence. What is this presence of a mountain? What is a mountain? 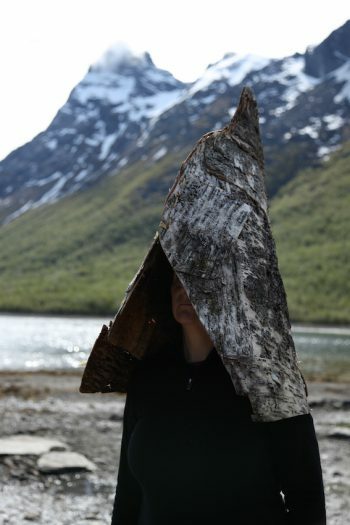 In response to this distinctive mountain I have made a wearable Trolltind using birch bark. I wore it on the opening day as we went around each artist’s individual work. 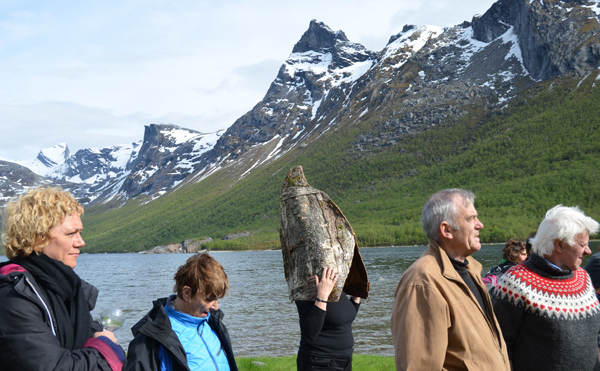 I then placed this ‘mountain hat’ on a selected rock beside the sea creating a dialogue with the real Trolltind mountain on the other side of the bay. Each rock is a mountain. The opening afternoon, listening to the artist’s talk about their work, all local villagers and the public were invited.